All homes currently listed for sale in the zip code 85203 as of 04/22/2019 are shown below. You can change the search criteria at any time by pressing the 'Change Search' button below. "This stunning estate is country in the city in the equestrian Lehi community! This beautiful custom home welcomes you with the east facing courtyard which is lush and green with fig vine trailing up the house and purple corkscrew vine trailing up the north courtyard wall. 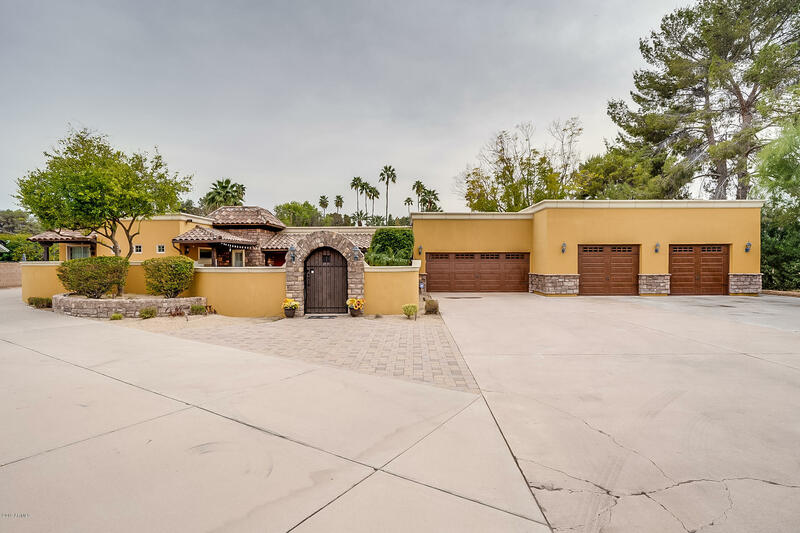 A spacious entry way invites you into the home, and upon entering this resort-like home you are met with an open floor plan, the kitchen is a Gourmet Chef's kitchen including a 60 inch Wolf gas range with six 12 inch gas burner"
"Make an offer now! 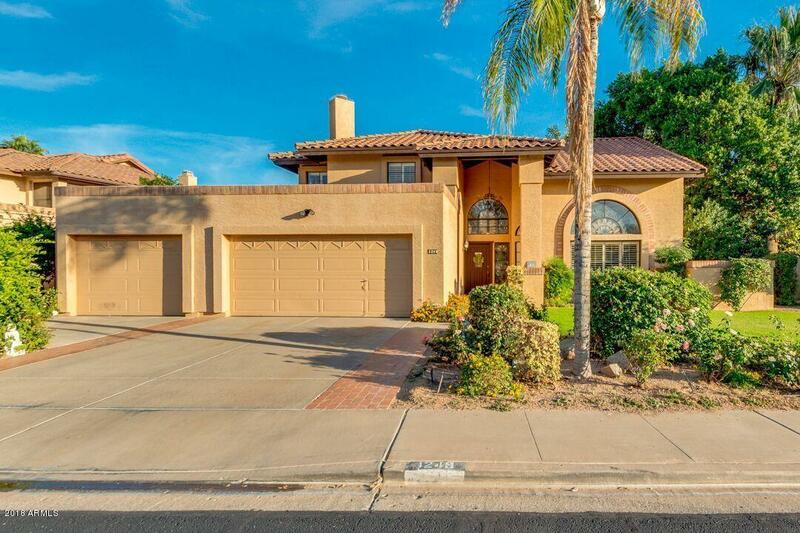 Unbelievable corner lot property located in Mesa is a beauty. Providing great curb appeal, beautiful grassy front landscaping, RV gate, 3 car garage, and circular drive. Fabulous interior features 5 bed, 3 bath, vaulted ceilings, brick fireplace in family room, den great for office, living/dining room, plantation shutters, and bonus room ideal for entertaining. 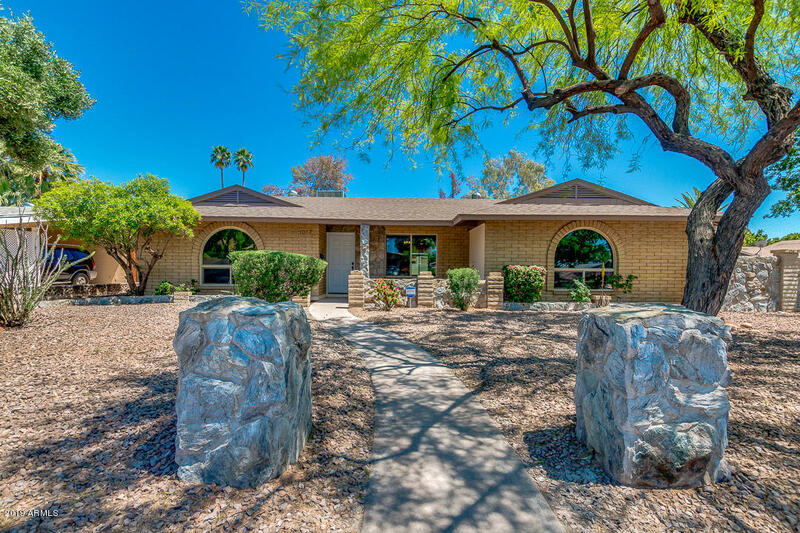 Dreamy eat-in kitchen is complete with everything you need; upgraded stainless steel appliances, recessed lighting, i"
"Here's a rare opportunity to own a home in the exclusive Hill View Acres neighborhood in Mesa. 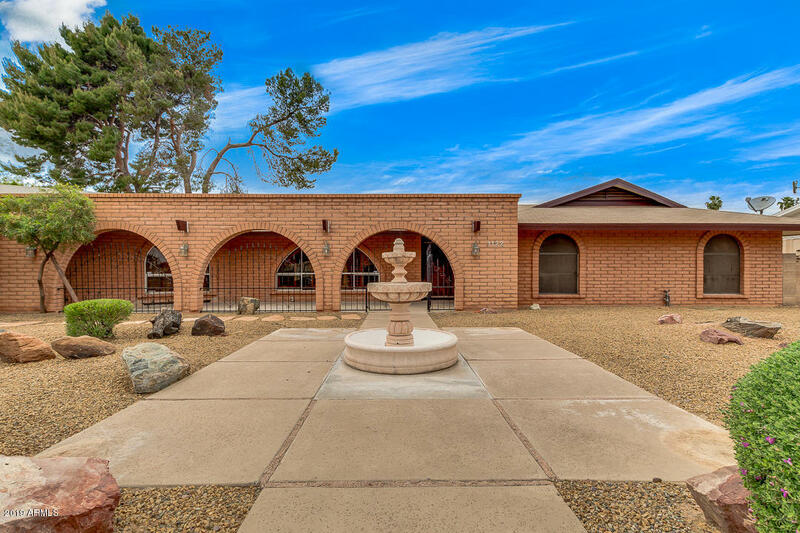 This property is situated on a large 34,199 square foot irrigated citrus lot. There's a custom built master suite that was added in 2006. This beautiful retreat has a large walk-in closet, double sinks, travertine tile, large walk-in shower, venetian plaster walls and a private exit to its own courtyard with beautiful brick pavers in a stunning courtyard with a large water fountain. 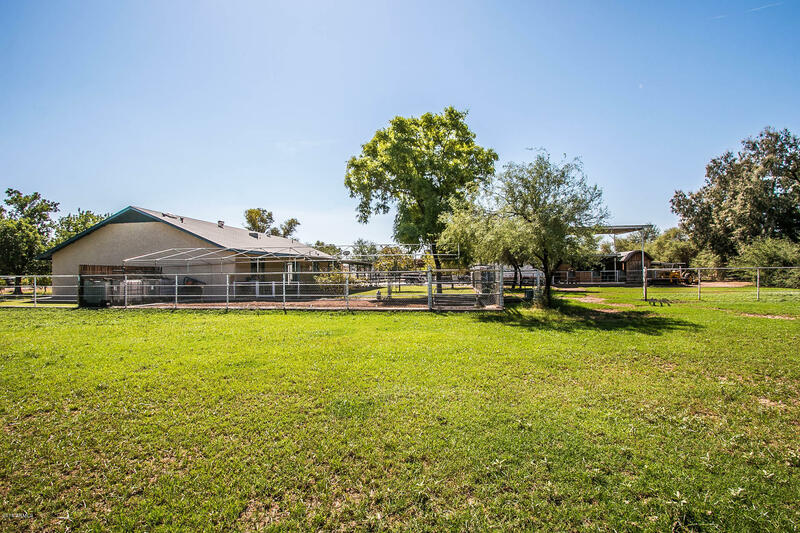 There's also a HUGE"
"You will absolutely love this incredibly huge horse property in desirable Mesa. This home is one of a kind. 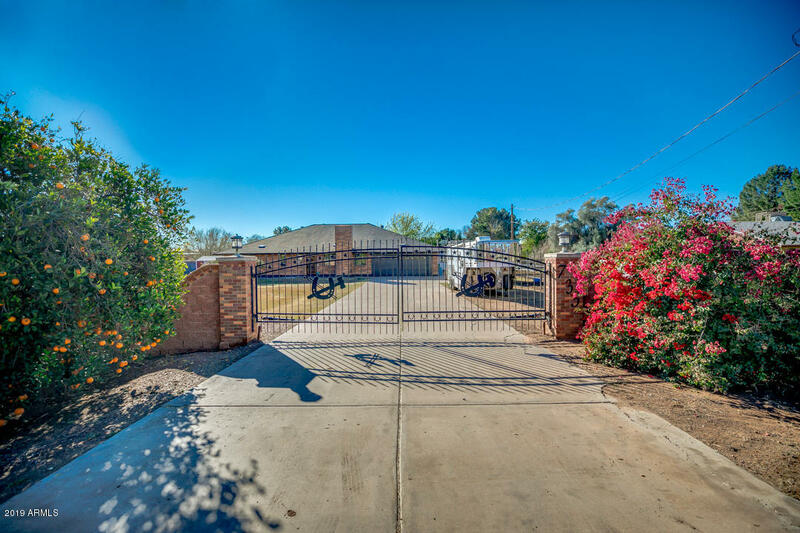 Providing a spacious grassy front landscaping and RV gate. Fabulous interior includes 5 bed, 3 bath, cozy fireplace in family room, living/dining area, finished basement, den great for office, and neutral color palette throughout the house. Well maintained kitchen has everything you need; upgraded stainless steel appliances, breakfast bar, and ample cabinetry. Inside the master bedroom you"
"This beautiful home in the coveted Pueblo Viejo gated community grabs your attention even as you pull up to the home. The grand entrance with its high arches draws your attention beckoning to welcome you home. Stepping inside you are welcomed into a huge open area that showcases the winding stairway on one side and the massive open living space on the other, with gorgeous views provided by a whole wall full of massive windows. The main living space has stately columns to help divide the area whi"
"REDUCED! Come check this place out, we would love a offer!!! Absolutely charming home on 1.5 flood irrigated acres located in the prime Mesa community of Lehi! This home has it all. Hickory cabinets, LED lights in kitchen, fire sprinklers, central vac, tile in all the right places. New carpet in Living room. New paint inside and out. Pavered patio, ceiling fans inside & out. Outside, the property is fully fenced with a gated drive, 2200 sq foot 2 story ponderosa pine barn! It has tac room, tool "
"DESIRABLE COMMUNITY OF ORANGEWOOD ESTATES. 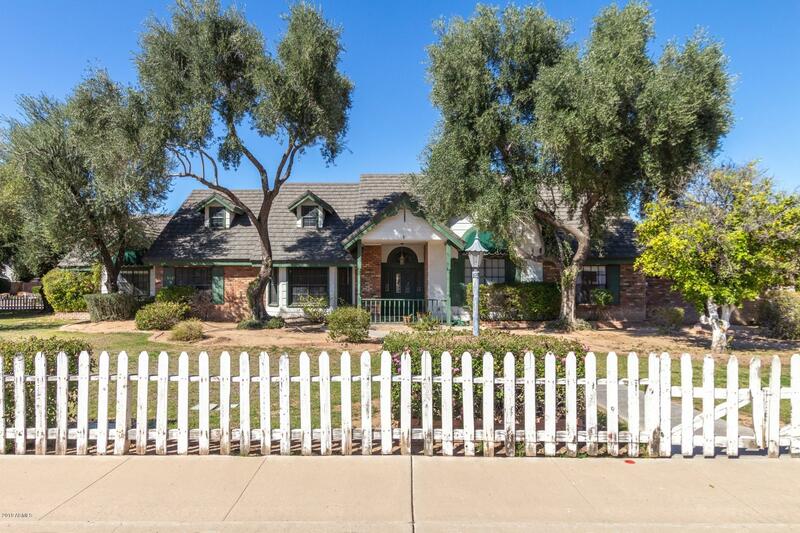 This charming home is located in the popular Orange Grove area of North Mesa. Stunning curb appeal, gated courtyard entrance, 3 FIREPLACES, formal living & dining area, French doors, HOME OFFICE/bedroom w/ fireplace and sep. entrance, OPEN CONCEPT kitchen to large family room w/fireplace. Master suite w/fireplace, JACUZZI tub, 2 walk-in closets. High ceilings throughout for open feel, many custom features and storage throughout. 10' diving pool w/new pe"
"CHARACTER AND CHARM ABOUND in this custom home located in the very desirable neighborhood of Friendly Cove. Huge corner lot on a cul de sac street with numerous citrus trees. Enter into one of the best floor plans in Friendly Cove. 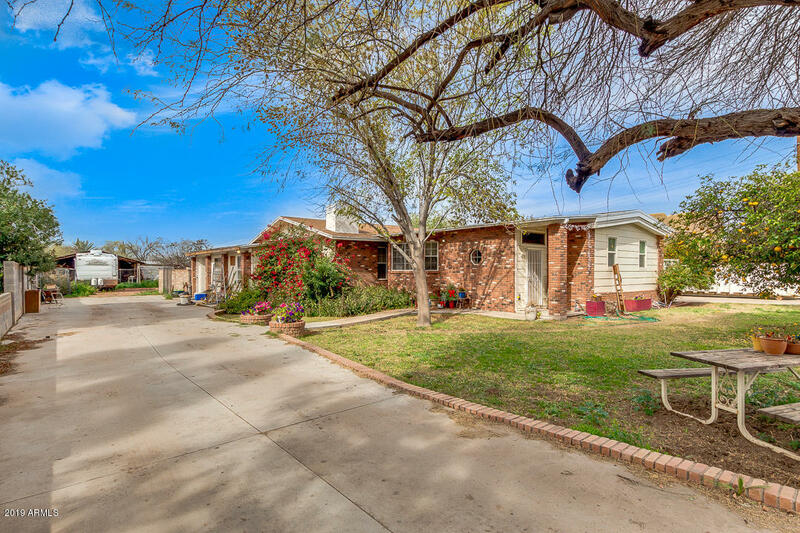 This single story home features 4 spacious bedrooms & 3 baths. Dramatic vaulted ceilings with wood beams, beautiful brick in the kitchen and fireplace, elegant living and dining rooms with tons of natural light, a welcoming family room with a view of the sparkling po"
"Gorgeous brick beauty! 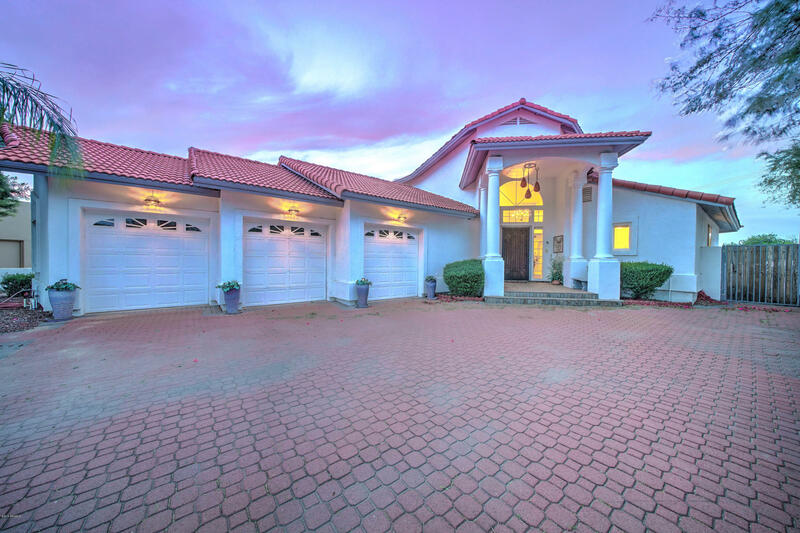 Boasting plenty of curb appeal & a spacious floor plan, this home is sure to impress. The interior is warm & welcoming with a stunning 2-way fireplace & hardwood floors throughout the main living area. Updated kitchen overlooks the family room & features granite counters & SS appliances. Bonus space next to the family room makes a great office. The terrific split-master retreat has its own sitting room, fireplace, patio access, dual walk-in closets & ensuite with double va"
"Make an offer now! Fantastic single level property in the wonderful Kirk Estates. Low turnover in this area means fast competition! 5 bed, 3 bath, with bonus room on back, this home has tons of space for your family and entertaining. 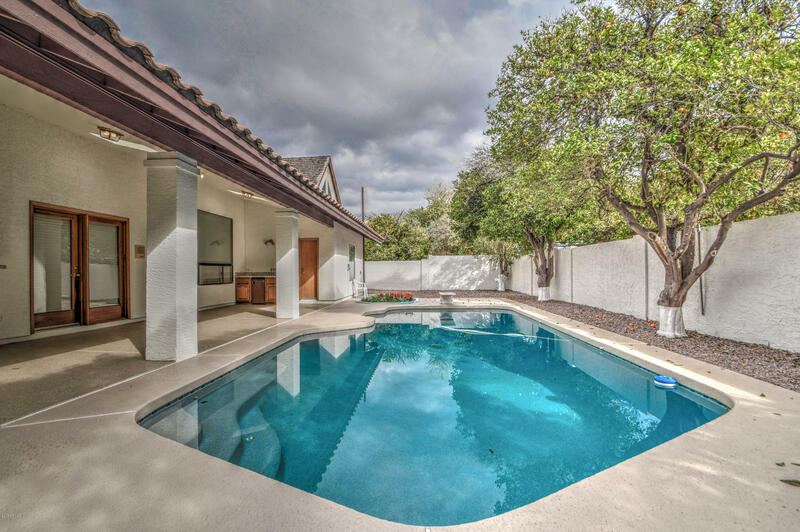 The beautiful large yard and perfect pool are ideal for gatherings and fun! Garage has ample space and additional workshop attached for all your toys and tools. This really is a one of a kind home in a great location. Call today to schedule a showing!" 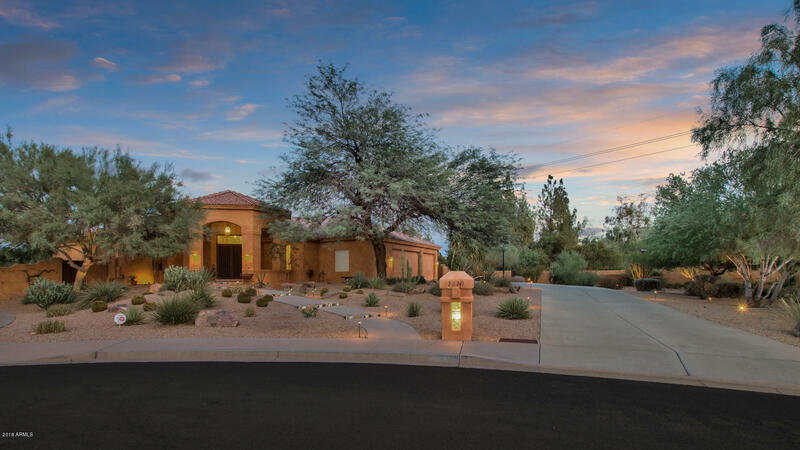 "This Mesa one-story offers an in-ground pool, hardwood flooring, a fireplace, and a two-car garage. Upgraded features include new carpet in select rooms.Home comes with a 30-day buyback guarantee. Terms and conditions apply." "NEW PRICE REDUCTION! 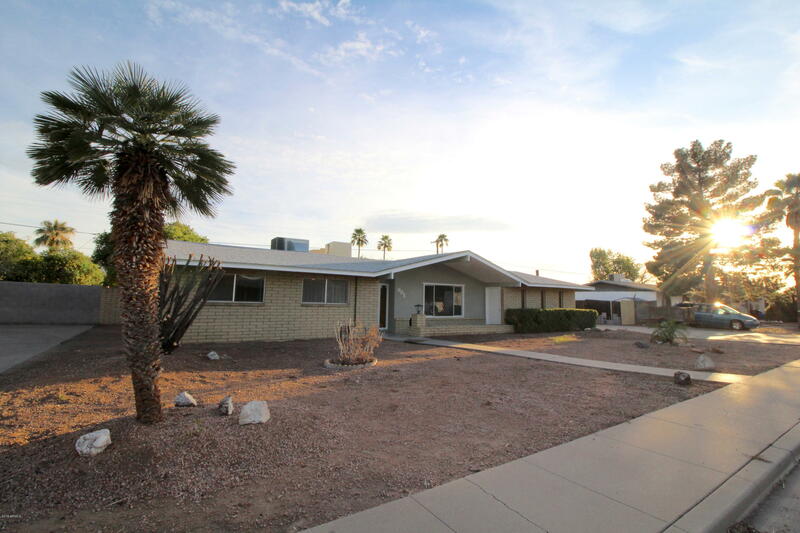 Beautiful 4 bedroom 2 1/2 bathroom home in the heart of Mesa. This home has it all - Living room, formal dining room, eat in kitchen, media/family room, large laundry room, separate office/den & approx 450 sq ft bonus/game room leading to sparkling pool and patio area. Lots of built in storage throughout the house. Large cul-de-sac - almost 1/2 acre lot with mature fruit trees - lemon tree, two orange trees and a grapefruit tree - all produce fabulous fruit. Back yard is ir"
"You have to check out this fantastic home situated in the highly sought after Lehi Acres. Featuring a lush landscaping with citrus trees. You'll be impressed with the incredible interior that offers upstairs great room, neutral paint through, gorgeous family room with cozy brick accented fireplace, and laminate floors in all rooms. Kitchen includes breakfast bar in the center island, matching appliances, and cabinet/counter space. 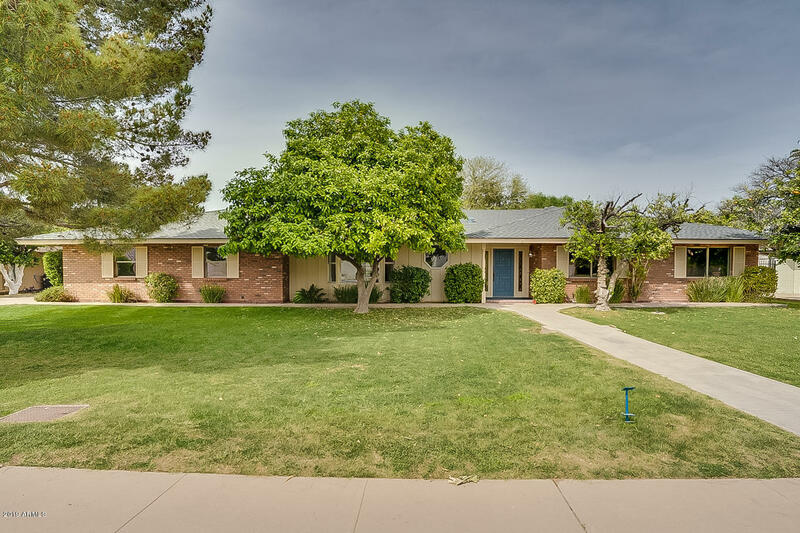 The master bedroom has walk-in closet, full bath with jetted tub "
"Gorgeous vintage home in central Mesa! Top to bottom remodeled in 2014 with warm wall tones and plush carpet with porcelain and travertine flooring in bathroom, and kitchen. Living room has cozy fireplace! Eat in kitchen has center island with breakfast bar, granite counters throughout with tiled picture windows! Spacious walk in closet! Upgraded bathroom with extended single sink vanity. Features all dual-pane windows with plantation shutters t/o. Mature pecan and grapefruit trees, lush green g"
"Water Front Views!! 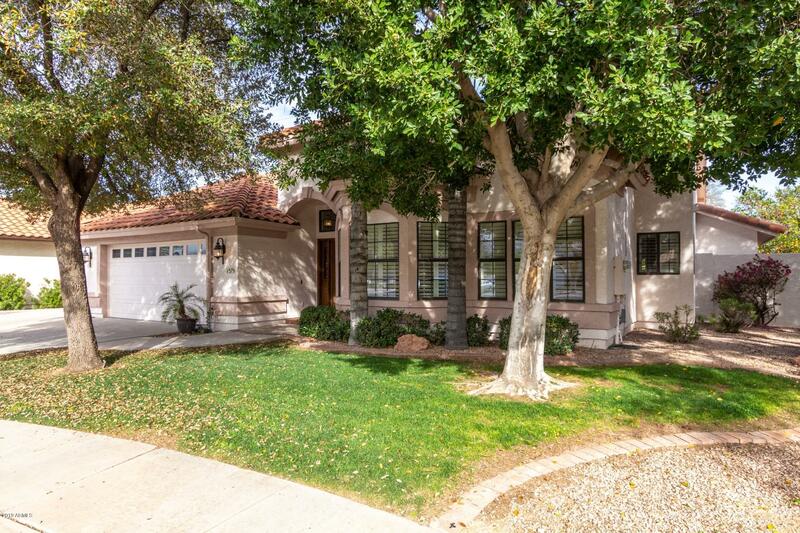 Over-Sized Premium lot, Beautiful, Spacious 3 bedroom, 3 bath home in Woodridge Lake in N Mesa. Soaring ceilings, light and bright, Plantation shutters, wood staircase, living room, formal dining room, large U-shaped kitchen for the chef, family room with fireplace, guest downstairs bedroom and full downstairs bath. Master suite w/sitting room, access to balcony, large dream office retreat w/fireplace. Entertainer's dream back yard with lake views, gazebo, large covered patio"
"Here is a gorgeous, under comps, fully remodeled 4 bedroom 3 bathroom house on a huge lot. First check out the curb appeal, low maintenance yard, trees have been trimmed to feature the gray and white modern paint with a pop of colonial red! Inside you'll find a modern open floor plan with porcelain wood plank tile, huge open kitchen with an 8 ft island! Upgraded Lauren Ashley Cabinets with soft close, pantry, and lazy susan. Quartz countertops and a custom backsplash round out this stunning cent"
"*****THOUSANDS OF DOLLARS UNDER APPRAISED VALUE! ***THIS HOME IS BEAUTIFUL! DO NOT MISS OUT ON THIS ONE! 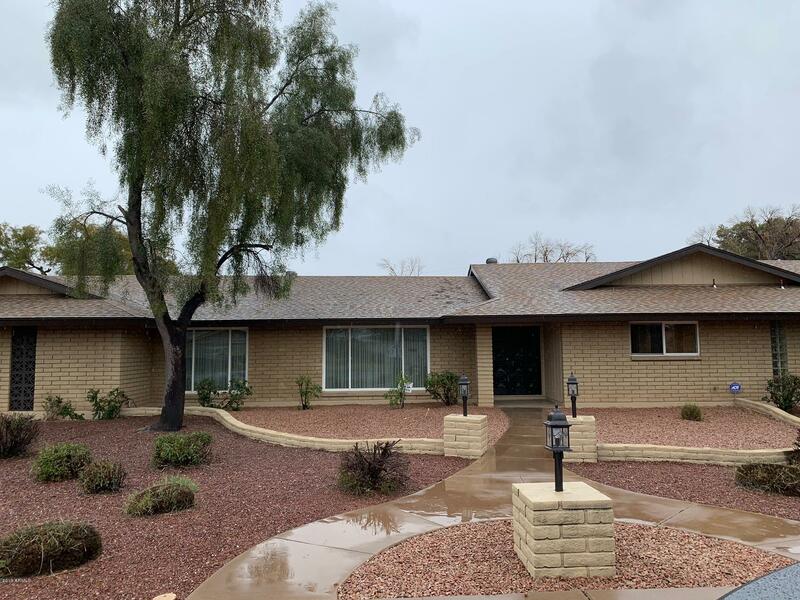 This home has 3 bedrooms, 2 bathrooms, den, family room, living room, large bonus room (no closet) that can be used for office, entertainment room or whatever you decide. The kitchen is equipped with stainless steel appliances, lots of granite counter space with very open floor plan with a fire place. The master bedroom has his and her sinks, custom cabinets, separate shower, jet tub, and a l"
"Homes this wonderful are rare, indeed! 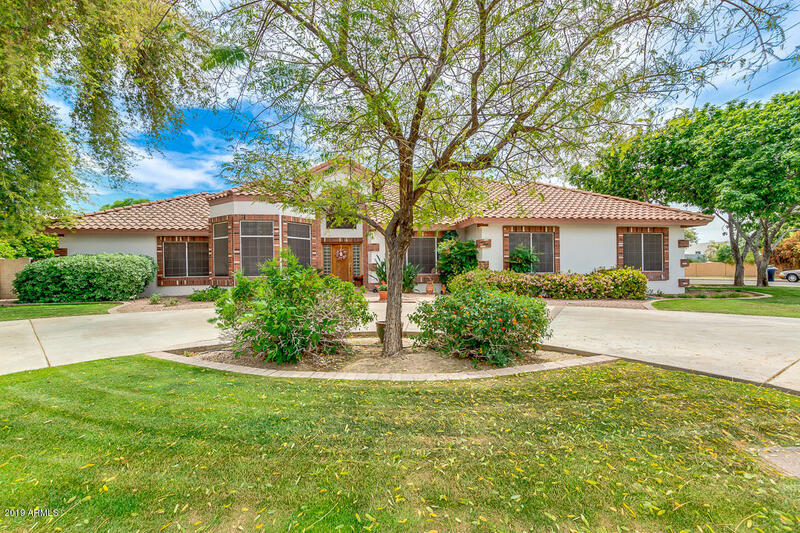 This one owner gem on over 1/4 acre in the highly sought after La Mariposa Villas community won't last long. Situated in a cul-de-sac, this immaculately kept home features formal living and dining with crown molding, a cozy fireplace in the family room and plantation shutters throughout. The kitchen is complete with stainless steel appliances, granite counters, a butcher block island and custom cabinetry. You'll love the spacious bedrooms and master suite! " 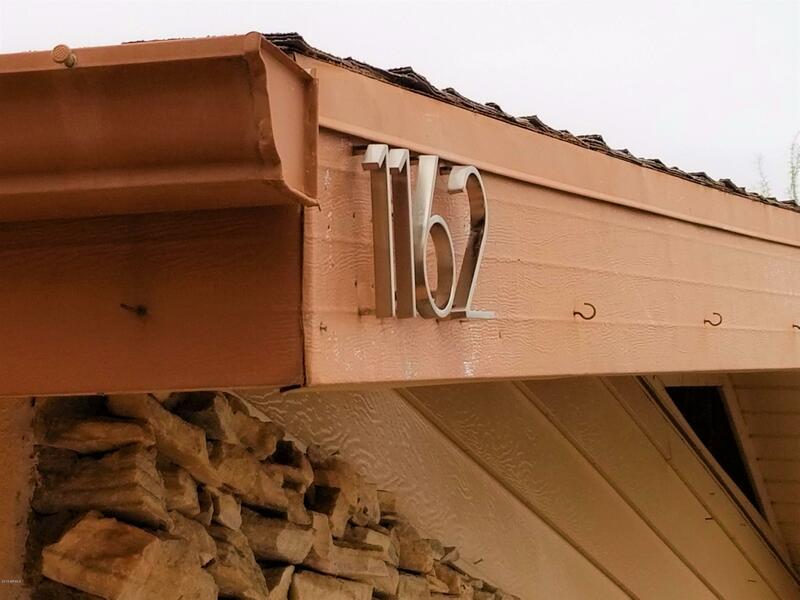 "Spacious 1965-built custom block home w/Mid-Century-Modern touches on corner lot -Easy access to 202, 101 & 60 fwys. The rock facade & elegant Living Rm rock fireplace, as well as wood touches t/o (doors, beams, built-ins, lam-wood floor) transport u, as does the built-in, classic, vintage GM-Frigidaire Imperial Flair double-oven range in the eat-in Kitchen just off large Family Room w/built-in bookcases, beams & double Frenchdoor access to the 18x14 West Patio for indoor-outdoor living! Huge 50"
"Gorgeous remodeled home with cozy north-facing front porch is waiting for you!! Immaculate interior with fireplace, neutral paint, 4 bed, 2 bath, new ceiling fans, and carpet flooring in all bedrooms. 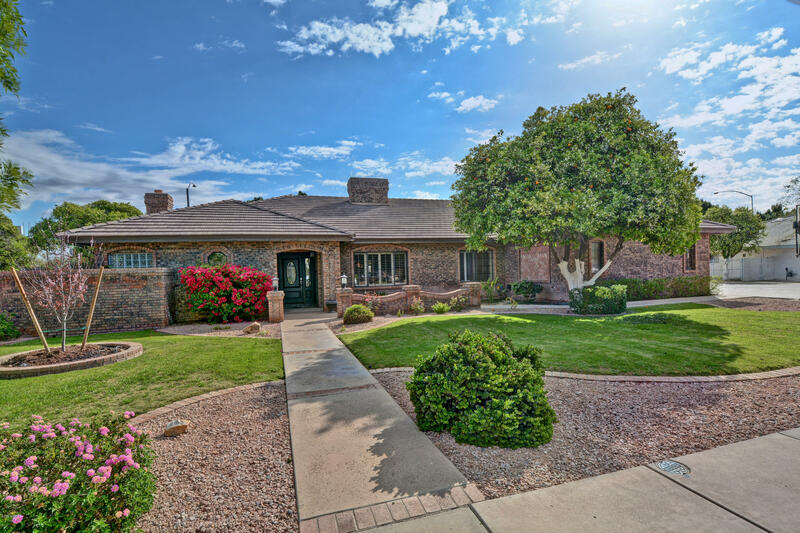 This is the perfect home for those wanting to make a move to Mesa! Nice kitchen includes stainless steel appliances, new cabinets, and beautiful quartz counters. Fantastic master bedroom has walk-in closet and lovely bath. Awesome backyard is comprised of grass area, covered patio, and storage shed"
"4 bed 2 bath in sought after community. Remodel & updates, its gorgeous. Kitchen is incredible w/quartz/granite style counter, an abundance of custom cabinets, pantry, brushed nickel pull-out faucet, stainless appliance & travertine tile. New wood look tile - living room, hall way & bathrooms. Bathrooms are wow! w/new tile floors, espresso vanities, LED vanity lighting, large designer mirror, new dual flush enviro-friendly toilets, brushed nickel fixtures. Main bath w/combo tub/shower & Master b"
"REMODELED & MOVE-IN READY!! !Come see this beautiful contemporary home that wont last long at this price! NO HOA & oversized RV gate, mature citrus trees and the option of easily converting into a 4th bedroom. 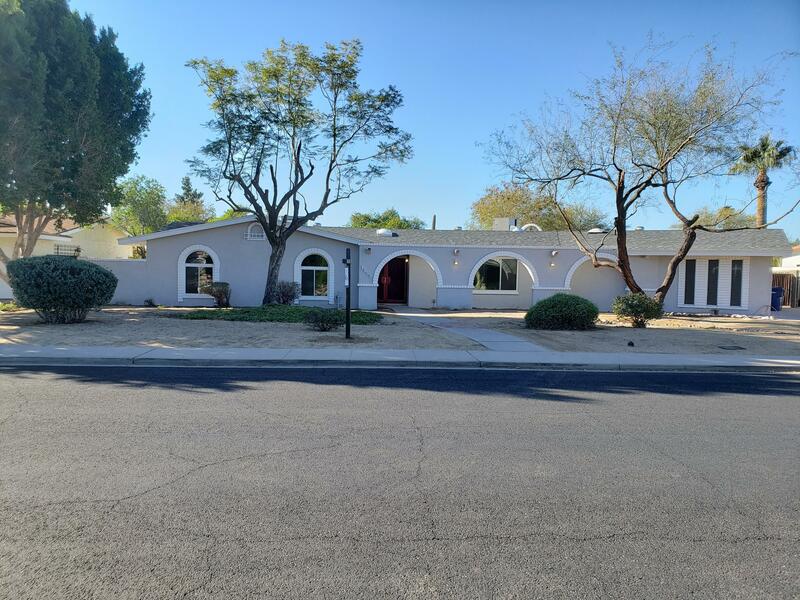 Great sized laundry room, extremely oversized pantry, fully remodeled kitchen, stainless appliances, gas chimney in the living room, remodeled baths, new roof, new carpet, new 2 car garage, and so much more you have to see for yourself. 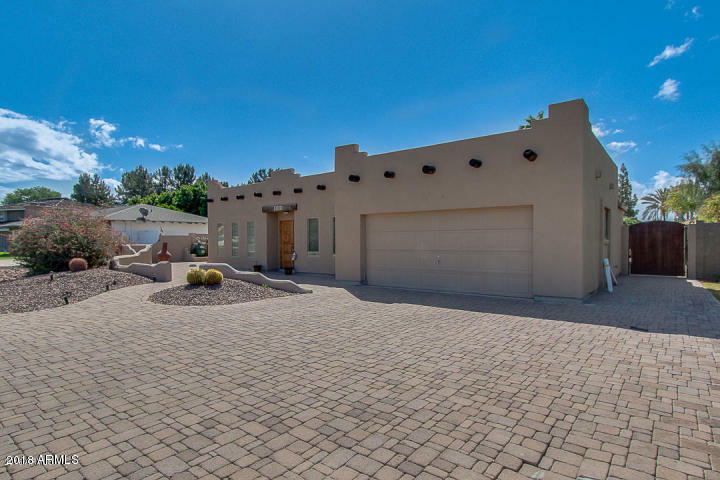 Priced to sell and easy to view so don't wait!Location"
"Check out this amazing north Mesa home. 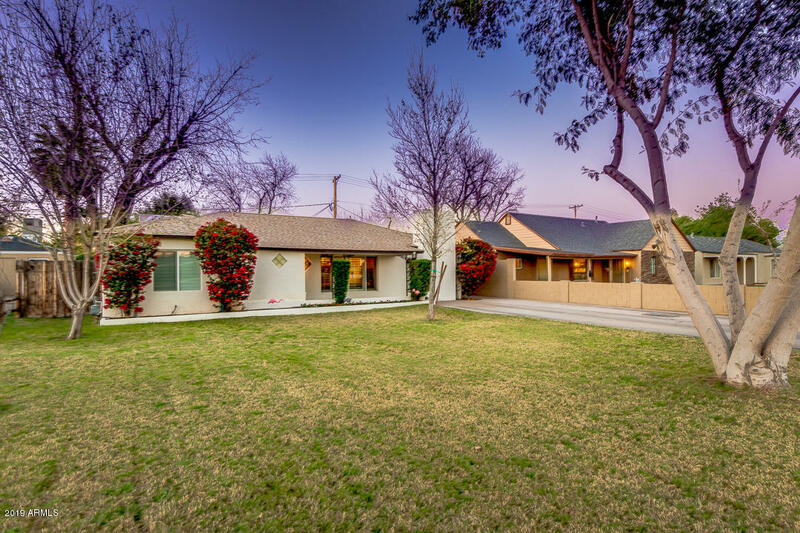 Conveniently located near freeways, shopping, business, and Falcon Field airport. The backyard has mature citrus trees and a large patio perfect for keeping the home cool and weekend BBQs. Inside you will find a spacious 1920 square feet with room for everyone. This is a great home in a well established neighborhood ready to put your finishing touches on it."